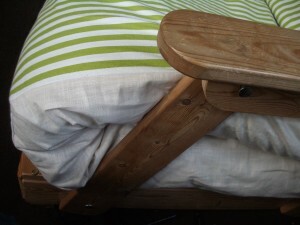 Just over a year ago, I posted about how I was thinking about making some new covers for our futons, but when I looked at the cost of material (around £180) it stopped me in my tracks. 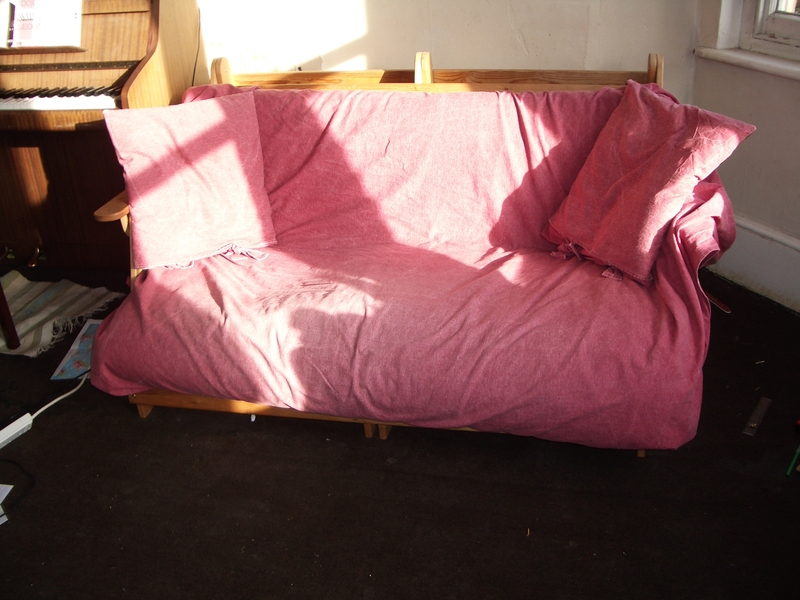 This weekend, I finally got round to a frugal futon revamp. 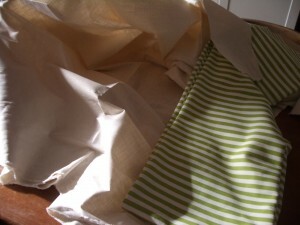 I’ve been looking in charity shops for old curtains and fabric for a while, but not found anything I liked. I’d also thought about making a patchwork throw, but I wasn’t sure that I wanted to have a throw as the main cover again. Yesterday I found some fabric I liked on a market for £5 a metre – I bought striped for the front, and plain for the back. 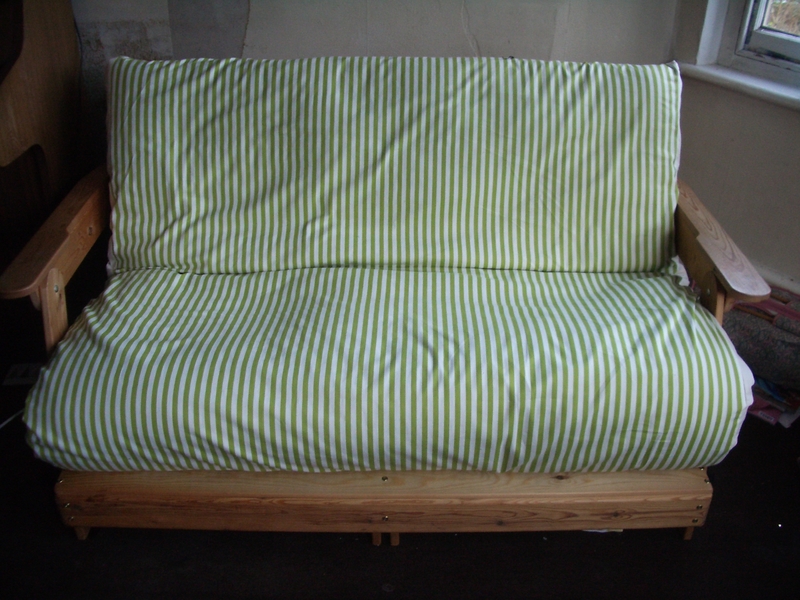 The material wasn’t quite wide enough for the futon, so I bought a bit extra plain fabric, cut a strip off and sewed it to the side to make it the correct width. I then sewed round the three sides to make a big bag. 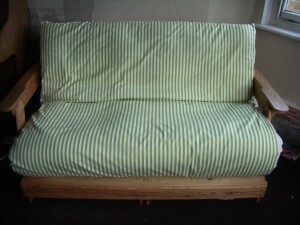 Finally I turned it inside out and put it on the futon. This is the final result – I’m really pleased with it. The whole cover cost me £26.50 and took 2 1/2 hours to make. 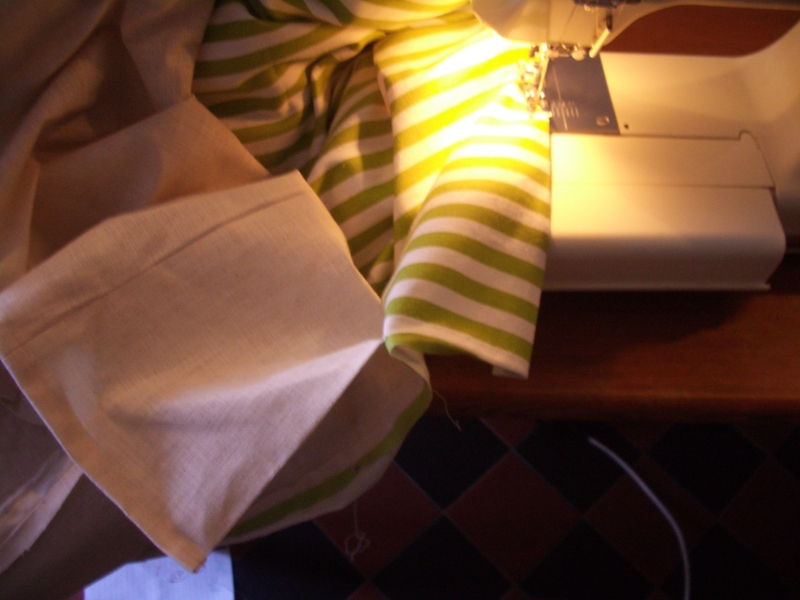 Now all I’ve got to do is make one for the other futon, cover the piano stool, make some cushions…..